Stamp collecting can be pursued by anyone, with any sized budget – literally. In fact, there are ways to get totally free stamps! Below, I outline the many ways to get free stamps. Some ways are obviously for children, while others provide free stamps regardless of age. Some of the companies that offer ways to get free stamps aren’t 100% free. They’ll require that you send them a self-addressed stamped envelope (SASE) if you live in the United States, or an International Reply Coupon (IRC) if you live outside the United States. Don’t worry though, there are still many ways to get 100% FREE stamps! 1. From your mail – Before throwing away any pieces of mail you receive, check for stamps. If there are any, carefully tear them off the envelope, making sure not to damage the stamp in the process. 2. From family members – Ask your family members to save the stamps they receive in the mail for you. 3. From friends and coworkers – Ask your friends and/or coworkers to save stamps for you. 4. From local businesses – Businesses receive lots of mail daily. But likely, they throw away the stamps. Some businesses may be willing to save stamps for you, if you just ask. 5. From local schools – Same as above, local schools may save stamps for you if you ask. 6. From pen pals – Find a pen pal, and you can send each other letters with cool stamps. 7. From your attic – Be creative. Think of places in your home where old stamps may be lying around. Perhaps there are some old stamps in your attic just waiting to be discovered. 8. Join a local stamp club – If there’s a stamp club in your area, consider joining it. Oftentimes club members will give free stamps to beginning collectors. The APS website provides a great resource which allows you to find a stamp club near you. 9. Attend a stamp show – Be on the lookout for stamp shows in your area. Many people at stamp shows are willing to give free stamps to beginning collectors. 10. From stamp forums – Many stamp forums have very generous members, willing to help beginning collectors. However, you have to be very careful. Stamp forums aren’t an easy way to get free stamps. You should be an established forum member with 50 or so posts before showing any interest in getting free stamps. Otherwise, it could be considered spamming. 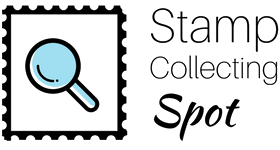 Here’s a list of the top stamp collecting forums. 11. Join the APS’s Young Stamp Collectors of America – Open to anyone of good character under 18, this service provides several cool things, including a free treasure package with stamps. Regular membership costs $10, and a family membership costs $15. 12. Join Kidstamps – Open to anyone between the ages of 5 and 19 residing in the UK, members of Kidstamps can receive free stamps. To join, you must send a self-addressed stamped envelope along with your application form. 13. Find free stamps on Listia – Listia is a marketplace for free stuff, including stamps. However, I’ve seen several negative reviews of Listia, so make sure to do your research before joining. 14. 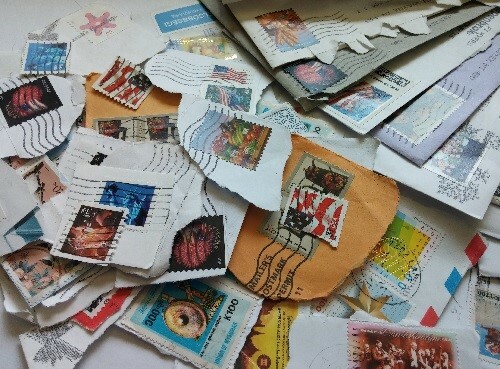 Find free stamps on Craigslist – They don’t come up very often…but you might as well keep your eye out for them! 15. Find free stamps on Freecycle – Like Craigslist, it’s pretty rare to find stamps listed on Freecycle, but keep your eye out for them anyway! 16. Request free stamps from St. Vincent Stamps (& Philatelic Reference Website) – Before requesting free stamps, you should read all their terms. Note that you must send a self-addressed stamped envelope with your request, which means it’s not quite free. 17. Request free stamps from International Society of World Wide Stamp Collectors – Again, you should read all their terms before asking for free stamps. ISWSC also requires you to send a self-addressed stamped envelope with your request. So again, not 100% free. 18. Request free stamps from Vista Stamps – Just choose which stamps you want, fill in the sign up form, and you’ll receive the free stamps you requested. You will also receive a selection of stamps on approval for your 20-day examination, with no obligation to buy. Pick what you want – return the rest. Return postage is at your expense. 19. Request free stamps from Arpin Philately – Arpin Philately is run by the same company running Vista Stamps. The difference is that Vista Stamps is their American storefront, while Arpin Philately is their Canadian storefront. Just like Vista Stamps, when you request free stamps from Arpin Philately, they’ll also send you stamps on approval which you will have to return at your expense. 20. Put an ad in the local newspaper! Let all the locals know about your wonderful hobby – and the fact that you’d be very interested in any stamps they receive in the mail. Note that people will be much more likely to save their stamps for you if you offer them a little cash. However, some people may be generous enough to give you their stamps for free. When looking around for free stamps, be creative. Think outside the box. I spent many hours researching and thinking of different ways to get free stamps, and I outline each one above. There’s definitely other ways of attaining stamps for free though, so always be on the lookout! Feel free to leave a comment below. I’d love to hear your thoughts! If you know of any other ways of getting free stamps, please let me know in the comments. Ian, thank you for your post on how to find stamps for my collection. You’ve really done your research! Now I have some other options rather than just looking for stamps that are for sale at the likely places. It’s getting harder and harder to find stamps these days. Keep up the great work! You’re welcome and thank you! Glad this post was helpful. This is a great list. Gee, I never thought stamps were so ubiquitous! Seeing all these free stamp hacks is making me consider actually collecting a few. I don’t send a lot, but I don’t think that matters. I only worry I’ll get too hooked, as I usually do when it comes to collections. Nice tips on get stamps. I remember when I was younger that my father used to have a great stamp and coin collection. He would always say that as long as they were kept in pristine condition they would continue to gain in value. Thanks for the info! Your dad was definitely right! As long as stamps (and coins!) are kept in perfect condition, their value will only rise. WOW! These are a lot of free resources. I had no idea there were so many websites, groups, and people willing to give out free stamps. I think going to local businesses and schools is a great idea. I’d have to try that out, a very simple way to add to my collection. Yep, in the stamp collecting hobby there are tons of people willing to help new collectors.